Tata Communications, a leading provider of a new world of communications, today announced that it has won a deal from Sistema Shyam TeleServices (SSTL), a pan India mobile license holder, to deploy its on-demand hosted contact center (InstaCC) services for all SSTL circles across the country, allowing the telco to move from capex to opex model. Sistema Shyam TeleServices, a joint venture between Russia’s Sistema and India’s Shyam group, is currently undertaking an aggressive roll out plan of its mobile services under the MTS brand and serves a fast growing subscriber base of over 1.3 a million across Tamil Nadu, Kerala, Rajasthan, Kolkata, West Bengal and Bihar. Under the deal, Tata Communications would deploy its state-of-the-art hosted contact center solution InstaCC on a pay-per-use model for MTS, thereby freeing up resources and capital, which is crucial for the company at this stage of its ambitious growth plans. Tata Communications has deployed all the critical hardware and software needed to run a call center like IVR, ACD, dialer, recording, integration with 3rd party business applications and CRM software, etc. while MTS would pay on actual usage basis, giving it the freedom to ramp up or ramp down based on the business environment. This service is an end-to-end IP solution, which brings forth the true benefits of virtualization for centrally managed multi-site contact centers. In the first phase, Tata Communications would be managing infrastructure for 2000 seats across all their circles, of which 700 seats are already deployed across their South and East circles. Currently the Northern circle is getting deployed. 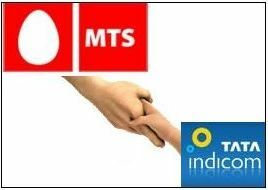 “MTS is on a fast trajectory of growth, and our contact center operations will grow at a rapid pace, inline with our expansion across 22 circles in India. Quality of service will be our key differentiator in a highly competitive telecom market. We look forward to a service that is obsolescence proof, scalable and reliable in uptime. Tata Communications was best meeting our requirement of a reliable hosting solutions partner, offering a cost effective model.” said .Mr. Rajeev Batra, CIO, Sistema Shyam TeleServices. “With InstaCC, we provide a very flexible contact center environment which helps customers to have a very effective customer service strategy by standardizing the customer experience across India. Besides cutting their capex, it also crunches their go-to-market time, as now they don’t have to build the entire call center infrastructure before rolling out,” said Alok Bardiya, Vice President, Managed Services & Marketing, Tata Communications. LOU I guess we all need to wait and watch… today with so many new operators sprouting up all over the place the only differentiator would be SERVICE as TARIFFS cannot get much lower than what they already are.